We’ve searched far and wide to find the most natural and healthy products for your skin, including Eminence Handmade Organic Skin Care and Jane Iredale, the Skin Care Makeup. Enjoy browsing, and feel free to ask us questions about any of these amazing skin care products. Since their inception in 1958, they have been using sustainable farming and green practices to create natural, organic and Biodynamic® products. They believe in providing the best skin care products possible. Their products are proudly free of parabens, animal by-products, propylene glycol, sodium lauryl sulfates, harmful colorants and fragrances, mineral oils, petroleum, and other harsh cosmetic chemicals. For 20 years, mineral makeup pioneer Jane Iredale, has been creating quality products that adhere to the highest standard of integrity for her eponymous makeup line, jane iredale. With a clear vision of the future, Jane created a mineral foundation that would utilize the most current technology available that looked and felt exceptional and gave full coverage and broad spectrum sun protection. In addition, the use of pharmaceutical grade and certified organic (where available) botanicals and antioxidants were a further commitment to this quality. The creation of a quality brand In 1868, in Lübbecke in the Westphalia region of Germany, the pharmacist Eduard Gerlach took over his father Ludwig’s colonial goods store and expanded it with a drugstore. As a soldier he was able to find out for himself how unbearably painful sore feet can be. As a pharmacist, he was able to successfully mix fundamental substances such as potassium carbonate, unsaturated fatty acids, mineral-based lubricants and disinfecting essential oils in such a way that he was able to market “E. Gerlach’s Preservative Cream” in 1882. Footlogix empowers professionals with the ability to elevate pedicures to a new standard of excellence. Products are easy to use, highly concentrated and cost effective. Footlogix® is committed to ongoing support through superior educational services. The Footlogix home care range provides fast and effective results for continuing use at home. The unique products are lightweight, non-occlusive and easy to apply- leaving no greasy residue. Through the proprietary Dermal Infusion Technology® (DIT) active ingredients are carried into all the layers of the epidermis, helping to restore it to a healthy state. Trind Cosmetics in Amersfoort is a Dutch company with over 25 years experience in natural hand and nail care. Trind products provide a visibly better condition of the nails, cuticles and hands. They make nails stronger and more beautiful without disturbing the natural structure of the nail. Thanks to the many years of experience, extensive laboratory research and continuous interaction with customers, Trind has become the expert in natural hand and nail care. As a leader in the professional nail care industry, OPI, a division of Coty, is committed to providing high-quality products and services with a focus on industry safety and innovation. Currently, OPI is available in over 100 countries and offers a full line of professional items, including nail treatments, finishing products, lotions, manicure/pedicure products, files, tools and acrylics. Known for its exceptional formula, fashionable colors and iconic names, OPI’s heavily-pigmented lacquers are super rich, long-lasting, and chip-resistant – offering an affordable luxury to consumers. Lovefresh is a Toronto-based luxury line of fun and natural beauty products that will keep your skin glowing. Lovefresh was founded by Stacey Davis on the premise that you could have beautiful, glowing skin using all-natural products, that would be as luxurious as they would be healthy for the body. Every Lovefresh recipe is formulated with the best ingredients from local and global sources, including layered notes of beautiful, fresh-smelling scents. A simple moment of natural luxury – without compromise. Nufree Nudesse is the gold standard in hair removal and is carried by thousands of professional salons throughout the world. Nufree Nudesse is not a wax and never sticks to the skin. Nufree Nudesse is self-preserving antibacterial/antimicrobial so its safe, clean and germ free. Nufree Nudesse is completely botanical and safe for the entire body. Nufree Nudesse doesn’t dry and can be erased any time! Nufree Nudesse is scientifically tested and uses no animal products. The best eyelash enhancer to naturally grow your lashes, increase their volume and length and provide them with a gentle care. Combining breakthrough science and proven natural extracts. 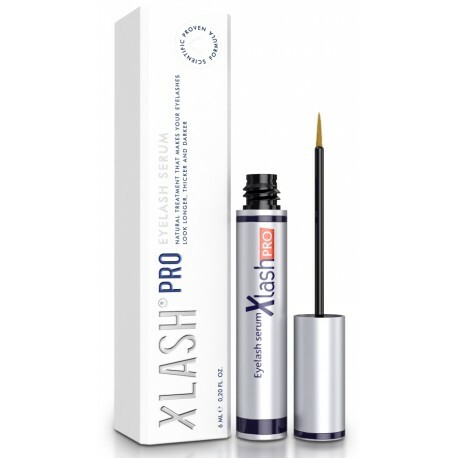 Launching in London (UK) in 2011, Xlash is committed to sustainability for a fresh approach to beauty that prioritizes respect for the skin – and for the planet. Anna Green was exposed to the world of visual art at young age, in my birthplace, Melbourne, Australia. After high school, she went to Ontario College of Art, where her focus was fine art. She had intended to carry on in her education to become a medical illustrator. Her style is considered “whimsical” ….a reflection of her daily activities, thoughts and dreams. Anna’s current medium of choice is liquid acrylic, which gives her work fluidity while still offering rich tones. The female image has become her trademark. 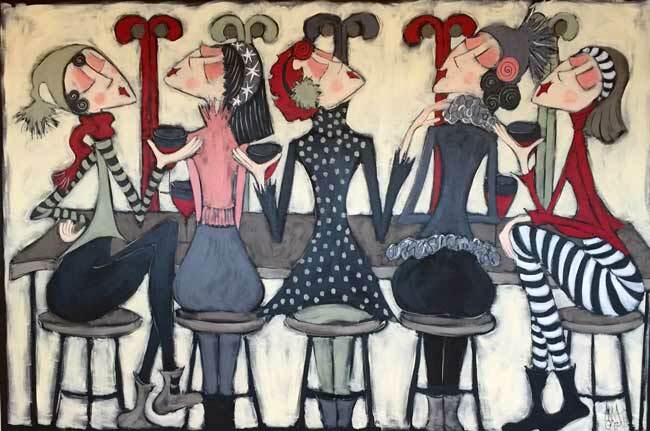 Her paintings often evoke a smile or a chuckle, as the viewer can often see elements of themselves in each. IZIPIZI, it’s everyday glasses that put a smile on your face. Colorful collections, no limit to your taste! Classics reinvented, designed to fit, for reading and for the screens, for the sun and just for fun. All made easy, for you, me, everybody, it’s IZIPIZI!